“AAFC could not have started in a better way. Anything we do, we want to bathe it in prayer before we get started,” commented Louis Rosenthal, pastor of The McKinney First Baptist Church and creator of the SHOP model. Reverend Steven D. Young, pastor of The Cross Baptist Church of Tyler, set the theme of togetherness at Tuesday night’s 24th Annual James W. Culp, Sr. Banquet. The election of 2017-2018 African American Fellowship of Texas officers included: Dr. Elmo Johnson, pastor of Rose of Sharon Baptist Church in Houston, as president; Rev. 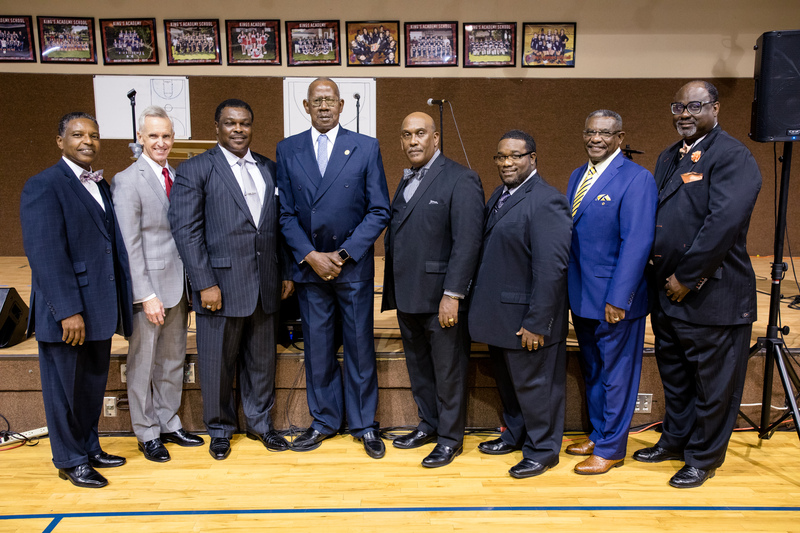 Kenneth O. Jackson, pastor of New Light Baptist Church in Lubbock, as vice president; Dr. Edward Wagner, pastor of Cornerstone Baptist Church Killeen in Harker Heights, as secretary; Rev. Michael Joseph, associate pastor of Fiesta Missionary Baptist Church in Houston, as assistant secretary; Rev. Leonard Hornsby, executive pastor of Bethlehem Baptist Church in Mansfield, re-elected as treasurer; and Rev. Steven D. Young Sr., pastor of The Cross Baptist Church in Tyler, as assistant treasurer. The Culp Banquet was held on July 11, with Young, serving as the speaker; The Praise Team from The Cross Baptist Church providing special music; greetings from Texas Baptists Executive Director David Hardage; a special recognition of churches from Director of the Office of Cooperative Program Ministry Chris Liebrum; and a recognition of former presidents of African American Fellowship by Cotton. Several churches were recognized for their giving to the Texas Baptists Cooperative Program including: The Church Without Walls of Houston; The Fort Bend Church of Sugar Land; Bethlehem Baptist Missionary Church of Mansfield; Cornerstone Baptist Church Killeen in Harker Heights; and Community Missionary Baptist Church of Desoto. Many attendees participated in mission and evangelistic opportunities around the area during the week including serving at a local nursing home and volunteering to take food to the Salvation Army in Tyler for the homeless and hungry. Workshops were held daily, with an evening worship service on Wednesday. Dr. Patrick Bradley’s music leadership of a mass choir of more than 80 people from Tyler, Lewisville and Mansfield, set the worshipful atmosphere on Wednesday evening. 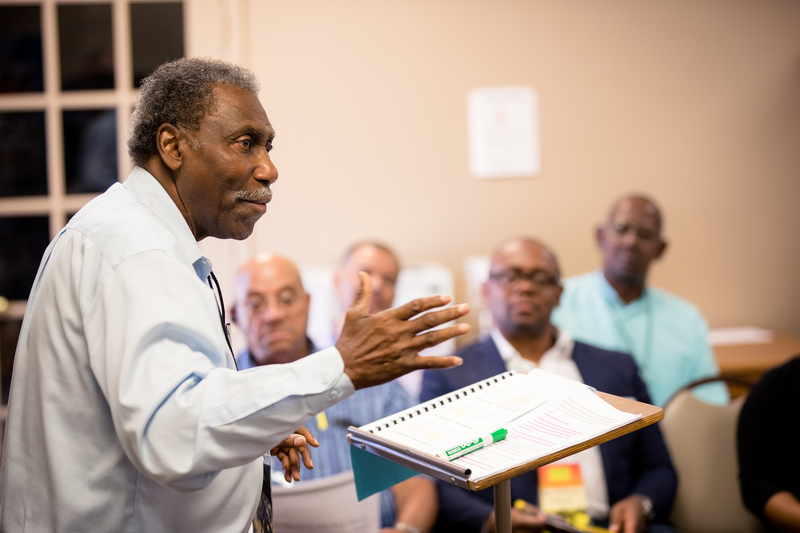 A morning closing celebration took place on Thursday, including a closing message by Dr. John Adolph and a celebration of the The Lord’s Supper. AAFC preachers, Adolph and Young brought meaning and interpretation to the theme with their inspirational messages, according to Cotton.